Defensive partners, club teammates and international colleagues; one would think that Toby Alderweireld and Jan Vertonghen would be sick of the sight of each other by now. 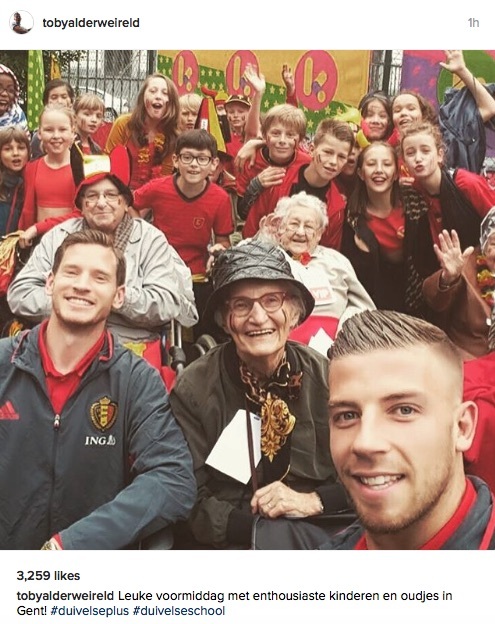 But the Tottenham Hotspur pals remain inseparable in the build up to Euro 2016 with Belgium, according to the latest picture uploaded to Alderweireld’s official Instagram account. The 27-year-old took some time off from preparing for the tournament by visiting fans, young and old, in Gent. 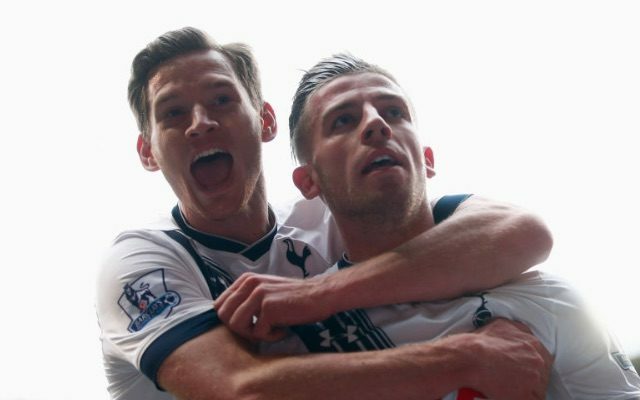 Vertonghen went along with him, and looks absolutely delighted to be there! The fans appear thrilled to meet their heroes. Vertonghen is simply pleased that he got the invite over Mousa Dembele to be spend more time with his best friend from White Hart Lane. Alderweireld and Vertonghen were arguably the best centre-back partnership in the Premier League last season, starting 29 games together to help Spurs to the joint-best defensive record. They are poised to be split up at Euro 2016 as Belgium manager Marc Wilmots prefers to utilise the Tottenham pair at full-back. Hopefully they can cope with a bit of distance.